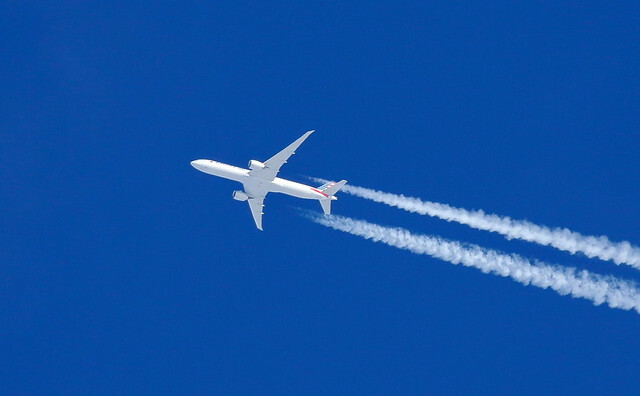 Will the Aviation Sector’s Planned Carbon Offset Scheme Help Curb Emissions from Air Travel? Photo by Aero Pixels The aviation industry accounts for approximately 4.9 percent of anthropogenic global warming. It is also the fastest growing carbon emitter. Negotiators are now scheduled to take up the issue during the UN International Civil Aviation Organisation (ICAO) meeting that kicked off in Montreal yesterday. Here, they hope to sign the Carbon Offsetting and Reduction Scheme for International Aviation (CORSIA), a first of its kind global, sectoral emissions plan. Supported by the UN, governments across the world, and the aviation industry itself, this plan may stand a pretty good chance of actually being implemented. But it also has many NGO’s crying foul, claiming that its focus on emissions offsets rather than reductions, as well as its lack of transparency and its voluntary nature will give individuals and the aviation industry a license to continue escalating their emissions instead of actually reducing them. In its current draft form, the CORSIA will seek to mitigate international aviation’s emissions by using a “basket of measures” to achieve net carbon neutral growth from 2020 levels. In other words, it will set a cap on emissions at 2020 levels, and all emissions that exceed this cap will need to be offset. While this basket of measures will include incentives for efficiency improvements and alternative low CO2 fuels, a Global Market Based Measure (GMBM) will take on the bulk of aviation’s CO2 emissions growth. The market in this case is a carbon market, and the commodity traded is emissions units. The GMBM will employ two main types of emissions units, trading allowances between sectors and purchasing offset credits to achieve net carbon neutral growth. Critics of this scheme say not only is its level of ambition well below what is required to meet the goals of the Paris Agreement, but the proposal’s ability to even meet its own targets is dubious as well. To begin with, CORSIA is not comprehensive. Most developing nations are exempt from the first phase of the scheme, and only the emissions of participating countries will be offset. In the event that, say, a flight departs from a country that is a signatory and arrives at a country that isn’t, these emissions will not be covered by the scheme. Also, if there isn’t full participation by the ICAO members, the total emissions covered in the scheme will be drastically reduced. With the currently proposed exemptions in mind, the first phase of CORSIA will only seek to address 30-50 percent of international aviation’s emissions above 2020 levels. Even if the more optimistic estimates are realized and the deal receives broad participation, there are reservations about the effectiveness of the proposed offset and allowances scheme itself. The allowances cap must be ambitious enough to actually exert a push on industries to reduce emissions in order to save money. If the cap is set too high, the scheme may have the opposite of its intended effect, as was made evident numerous times in the EU carbon trading scheme where high emitters actually made a profit on trading allowances while emissions continued to rise. (source: ICCT analysis of 2016 OAG data and ICAO 2013 growth projections) If the top 20 countries by international traffic all opted in to the scheme and other 171 smaller ICAO Member States did not, ICCT estimates around 60 percent of traffic growth would be covered. Note: The UAE, Japan, Singapore and South Korea have recently declared their intention to participate. Similarly, the International Coalition for Sustainable Aviation (ICSA) notes that in order for offsets to work, they must represent a “real, permanent and verified reduction” and measures must be taken to ensure that they are not doubly counted – i.e., both by the airliner and the host country providing the credits. Finally, each participating nation will need to implement the scheme on a national level. For the scheme to succeed, it will require that each nation enforces the CORSIA in a similarly rigorous manner – any nations that take a lax interpretation will gain a competitive advantage over those who enact a strict one, creating market distortions and eroding the credibility and trust upon which the scheme depends. However, ICSA notes that domestic authorities have been implementing International Civil Aviation Organization standards and measures for decades, so “full and fair” compliance with CORSIA should also be possible. A second major criticism relates to the UN ICAO procedure itself. Whereas the Paris Agreement by and large was negotiated with broad public engagement and transparency, the UN ICAO negotiations are generally behind closed doors — ICSA is the only civil society group accredited with observer status. In addition, Transport and Environment make a case against numerous instances of sizeable donations to the UN ICAO from industry — often exceeding the contribution of participating member states — and industry’s involvement in the negotiating process. While the industry representatives officially have “observer” status, they are able to “make motions and amendments, a privilege normally reserved for country representatives,” it notes. In fact, industry interest groups have used UN ICAO assemblies for much of the last decade to lobby against attempts to curb aviation’s CO2 emissions, particularly the EU scheme that requires all airlines using EU member airports to purchase carbon credits equivalent to 15 percent of their emissions. This gave rise to calls for a global deal to replace it, a process that has in turn led to the current CORSIA proposal that has garnered criticism for being an inferior imitation. Reiterating its earlier position, the International Air Transport Association (IATA), representing 265 airlines and 83 percent of global air traffic, insists that any existing national or regional aviation carbon schemes or economic measures should “become redundant” under the CORSIA and that “no new measures” should be introduced. A dramatic change was made to the proposal quite late in the game that affects the first phase of the scheme. Participation is proposed to be voluntary from 2021-2026, and member states can opt-out with just six months’ notice. This has both industry and NGO representatives requesting its removal from the deal. The International Air Transport Association states that airline operators do not need a pilot phase as they stand ready to commence the scheme in 2020, but what they do need is “certainty, with a clear set of metrics defined before the scheme commences and consistently applied throughout its lifetime.” In short, industry requires predictability and consistency. Thus, a voluntary phase will disrupt the predictability of the supply and demand of emissions offsets, frustrating both airliners concerned with their bottom line and NGOs concerned with commitment to reducing net emissions. Though the draft agreement may have its flaws, it is worth considering what the world might look like without it. If nothing is done to curb aviation emissions, all other things being equal, by 2050 aviation emissions are expected to triple, accounting for 27 percent of the global carbon budget if we are to meet the Paris Agreement goal of keeping temperature increase below 1.5 C. This would require every other sector to rein in its emissions to the point of absurdity, just in order to accommodate for aviation’s growth. The final round of negotiations and vote will come by the time the International Civil Aviation Organisation meeting ends on October 7. If the critics are right, negotiators are wasting precious time and effort to simply legitimize increased emissions with defunct offset measures. (Note that CORSIA only seeks to compensate for growth past 2020 levels.) In an unlikely best-case scenario, with every country onboard and 1:1 ratio for carbon offsets, aviation will continue to add slightly more CO2 into the atmosphere than Germany at present. But for now, CORSIA is the only thing on the table. Keeping in mind that the ICAO only meets every three years, and that this deal has already been nearly a decade in the making, perhaps something is better than nothing? What is important is that an emissions cap is set – this can always be ratcheted down in future reviews – and enforced using ambitious allowances and effective off-sets; that the process is transparent and unprejudiced; and that the scheme gains broad, binding commitment globally. By the end of next week we will know whether or not these conditions are met.